The passing of the controversial former prime minister has sparked an outpouring of tributes. Paul Keating said Whitlam drew Australia out of its “Menzian torpor” and he was right. After a postwar period dominated by the leadership of the pro-British conservative Robert Menzies, Whitlam’s ideas on nationhood, self-determination, and Australia’s place in Asia were welcome. 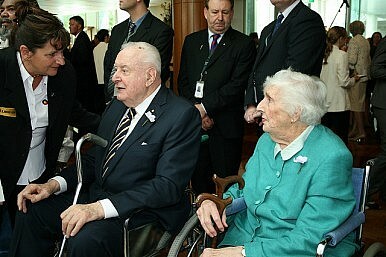 Whitlam has been roundly praised for his domestic reforms, from the establishment of Medibank – forerunner of today’s Medicare – and indigenous rights to the end of the draft and the changing of voting age from 21 to 18. He also introduced free university education and a new national anthem (ending God Save the Queen). Whitlam is less fondly remembered for his economic management. In what was Australia’s most serious constitutional crisis, Whitlam was sacked by then Governor General Sir John Kerr in 1975 after fewer than three tumultuous years in government. Despite massive public outrage, Whitlam lost his subsequent reelection bid in a landslide. However, his ouster ensured his iconic status, along with support for the Republican movement for decades. Paul Keating was the prime minister largely credited with shifting Australia’s focus to Asia. Closer ties with Indonesia and a more general move away from the Anglosphere as Australia’s primary focus were among Keating’s foreign policy legacies. However, that foreign policy was in turn informed by Whitlam’s belief that Australia needed a stronger national identity. And Whitlam is still widely credited for the establishment of ties with China and the end of Australian colonial rule in Papua New Guinea. Much has been made in the Australian press of Whitlam’s first visit to China in 1971 when he was still only opposition leader, ahead of Richard Nixon’s visit. Diplomatic relations were established the following year with a speed some found disconcerting. Ties with Taiwan were cut. While Whitlam’s moves on China have generally been well remembered, by both the Chinese embassy in Canberra and state-run press agency Xinhua, The Australian’s foreign editor Greg Sheridan has stood out as one of the few to “bust” myths of Whitlam’s China action, writing: “It was as near as anything could possibly be to inevitable that Australia would eventually extend formal diplomatic recognition to Beijing. Once the Americans made their move, their Asian allies followed, although the U.S. took some years after de facto recognition to achieve formal recognition. This is because the Americans were tough negotiators and were not going to sell out Taiwan.” Sheridan added that many European nations already had relations with China; Australia was not exactly a trailblazer. The Strategist yesterday published excerpts from Ross Terril’s Facing the Dragon on the 1971 visit and follow-up thoughts on the diplomatic recognition granted in 1972, which noted concerns by Hugh Dunn, an Australian ambassador to both China and Taiwan, who felt that Australia’s obvious keenness to establish ties blunted its negotiating capacity. China was well aware of the enthusiasm and found Australia to be the “easiest of all” to negotiate with. Tony Abbott has praised Whitlam’s China engagement, but given his high hopes for an free trade agreement with China by the time of the G20 it makes sense to make every effort to publicly lionize the longstanding and important relationship. Whitlam was, however, blamed for his indifference to the possibility of an Indonesian annexation of then-Portuguese Timor, which did in fact occur in 1975. The territory remained under Indonesian control for another 24 years. Some misdeeds in the Middle East and financial impropriety have also been noted in sections of the Australian press not weighted down with superlatives. Yet Whitlam’s vision and reforms have been celebrated by all prime ministers to come after him in a series of speeches and newspaper articles. That there is disagreement about his legacy is not surprising. Australia’s most controversial leader, Whitlam’s legacy will no doubt continue to be debated by his supporters and critics for many years to come. The broader definition of what constitutes the entity of “China” is on display in Sydney in more ways than one. Why Did Australia Push Out a Chinese Communist Party-Linked Billionaire?Explaining Australia’s Meek Response to China's Arbitrary Detention of 2 CanadiansWill China-Australia Relations ‘Return to Normal’?Why Australia's New Government Won't Change Course on ChinaWhy Did Australia Block Huawei, ZTE From 5G Roll out?